Kerala has been battling dry weather for last many days in absence of any significant weather systems over or around the region. But now, rains are all set to return over the southern state. There has been only isolated light to very light rains over the state that too over southern areas, with last 24 hours being absolutely dry. According to Skymet Weather, the cyclonic circulation over the Comorin region and adjoining Sri Lanka is moving west direction towards Arabian Sea. As a result, light to moderate rains and thundershowers are expected at many places over Kerala during the next 48 hours. The intensity of rains would be more over southern parts of the state. In fact, northern parts of the state have been absolutely dry for last many days would also see rains returning. Kerala and Tamil Nadu are the two main beneficiaries of the Northeast Monsoon. 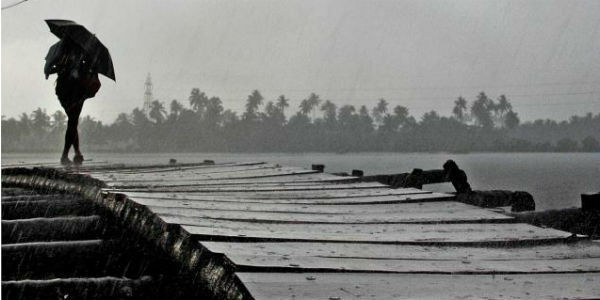 It is a three-month long season, bringing fair amount of rains over the state. However, Southwest Monsoon remains the main season for Kerala. As on November 7, the state has been witnessing normal Monsoon rains at -5%. From October 1 to November 7, the state has recorded 331.9 mm of rain as compared to 349.4 mm.